And so, I took delight and pride in translating the posting from the Catholic University of Croatia website that announces Dr. Esther Gitman’s very important achievement – the publication of her article on the work of Cardinal Aloysius Stepinac and the rescue and the saving of Jews during WWII Croatia in such a world-renowned and prestigious scholarly journal published in the US. I hope many of you will access the article via the Catholic University of America Press website. The American historian of Jewish descent, Dr. Esther Gitman Ph.D., has published in the Summer Edition of the scientific journal The Catholic Historical Review (CHR), third this year (pp. 488-529, vol. 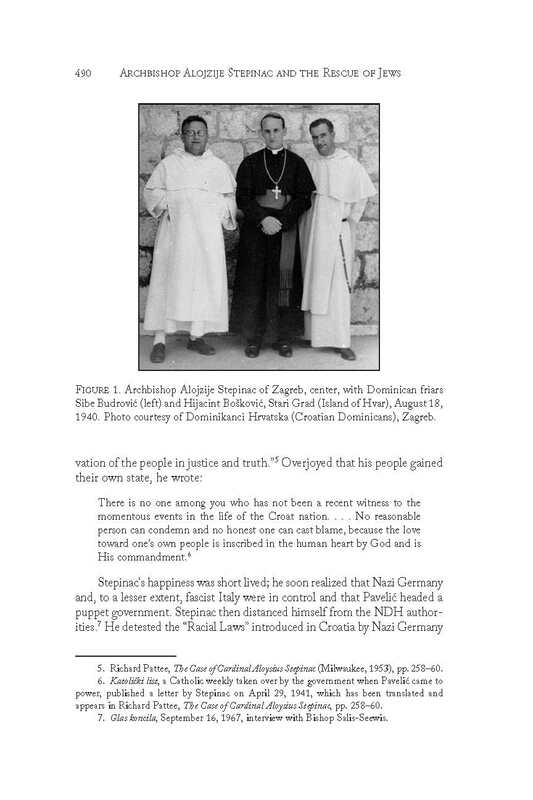 101. n. 3), an article about the blessed Alojzije (Aloysius) Stepinac, titled “Archbishop Alojzije Stepinac of Zagreb and the Rescue of Jews, 1941-45”. In the article, the author shows how the Archbishop of Zagreb undertook the action of rescuing several hundred of individuals associated with the Croatian Jewish community, how he saved more than a thousand Jews who were in mixed marriages, as well as many others for whom the Nazi regime posed a danger. Using evidence from various archives, testimonies of surviving family members and other documents, the author discusses how Stepinac responded to the politics of the Ustasha regime under the Nazi and Fascist patronage, and how he used his position in the Church to promote the rescue of Jews. In the same article, the author talks about the collaboration between Archbishop Stepinac and Msgr. Giuseppe Ramiro Marcone, Pope Pius XII’s apostolic visitor, and how they demanded from the Vatican that the Jews who had arrived into the Italian zone not be deported back to NDH (Independent State of Croatia). The scientific journal, The Catholic Historical Review, had decided to publish Dr. Gitman’s article only after the article had been subjected to double-verification by two of our professional associates who did not know who the author of the article they were verifying was. The verifying associates were four scientists of high international reputation from Croatia and abroad. Dr. Gitman was able to provide adequate answers to all criticisms and complaints put by the versifier/s and substantiate her claims with evidence from the archives. Some complaints were irrelevant to the subject of the article and, hence, we did not seek any clarification for them. Dr. Gitman’s article contributes significantly to discussions regarding the role of Archbishop Alojzije Stepinac of Zagreb during the difficult years of World War II. The Catholic Historical Review is, therefore, very happy to be in the position of making that article available to the scholarly world. 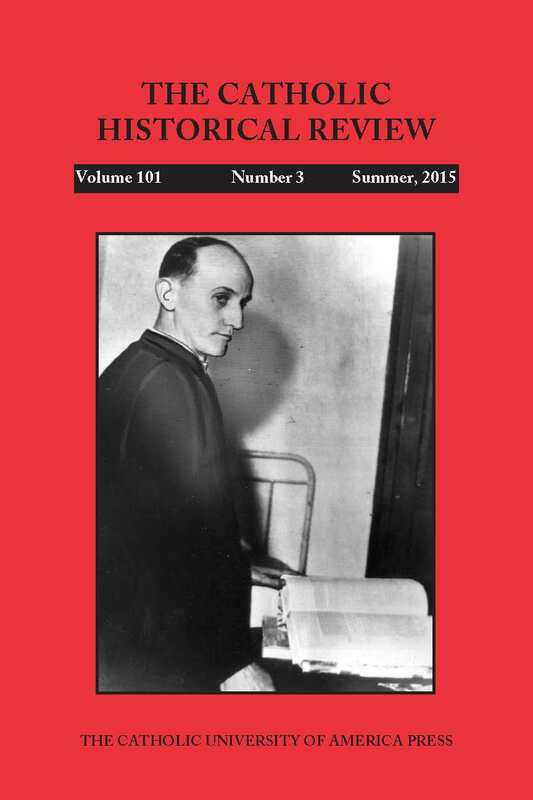 By placing the image of Archbishop Stepinac in prison on the cover of the summer issue we wanted to draw attention to this important person in the history of the Catholic Church in the 20th century – said Professor Nelson H. Minnich, editor of The Catholic Historical Review and a professor at the Department of History, the American Catholic University. This article is yet another in the list of articles that, based on facts, show how much Cardinal Alojzije Stepinac was engaged in the defense of the dignity of every person during the difficult times of the Second World War. 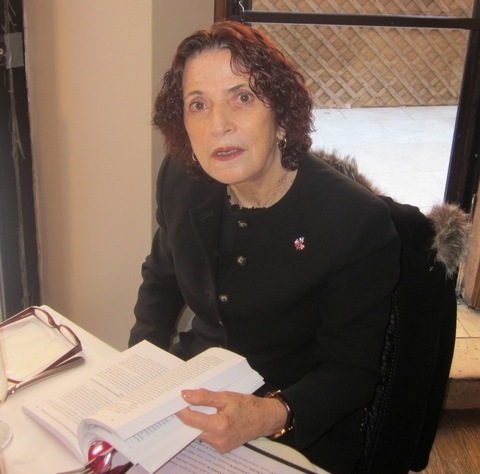 Dr Esther Gitman earned her doctorate at the City University, New York and the findings of her research are summarized in her book “When Courage Prevailed,” translated into the Croatian language and published by Christian Actuality in 2011. The book deals with the topic of the rescue and survival of Jews in NDH (Independent State of Croatia) and one of its chapters is devoted to the role played at the time by the Archbishop of Zagreb, Alojzije Stepinac. The author deals with issues related to Jews in Croatia during World War II and, using scientific evidence and historical facts, she points to the uniqueness and the greatness of Cardinal Alojzije Stepinac in all those events. 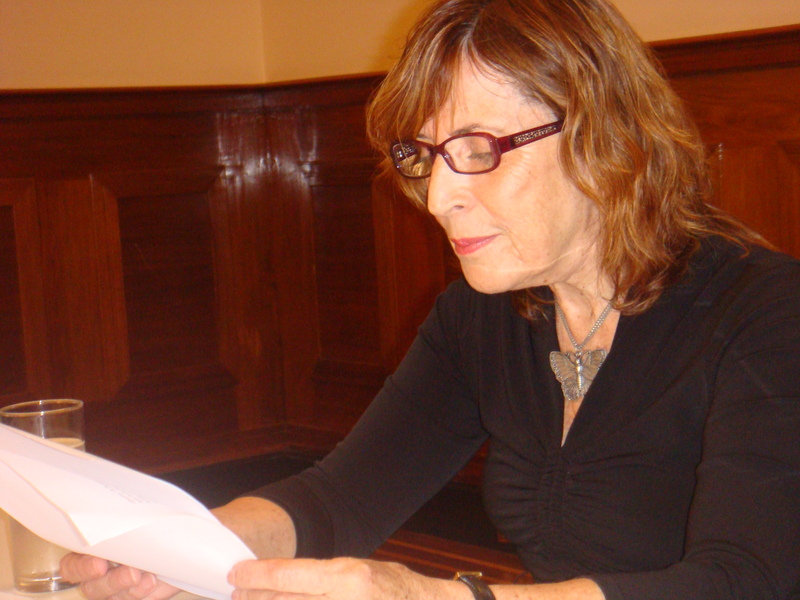 She was a visiting professor at the Croatian Catholic University during the 2013/2014 academic year 2013/2014. 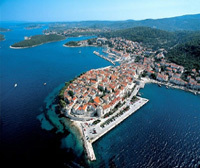 and held a course on rescuing Jews in NDH (Independent State of Croatia). During World War II, Blessed Alojzije (Aloysius) Stepinac, Archbishop and later Cardinal of Zagreb (1898 – 1960), took action to rescue several hundred individuals associated with Croatia’s Jewish community, more than 1000 Jews in mixed marriages, and a number of others in danger from the Nazis. Using archival evidence, survivor testimonies, and other documentation, the author discusses how Stepinac reacted to the policies of the Nazi-and-fascist-sponsored Ustase regime and used his position in the Church to promote the rescue of Jews, supported by his moral convictions and Giuseppe Ramiro Marcone, Benedictine abbot and Pope Pius XII’s apostolic visitor to Croatia. The CHR decided to publish Dr. Gitman’s article after it had gone through our double-blind refereeing process. The four referees are scholars of international standing, from within and outside Croatia. Where referees raised objection and criticisms, Dr. Gitman was able to provide appropriate responses and she backed up her claims with archival evidence. Some of the objections were irrelevant to the topic of the article and did not deserve a response. Her article makes a significant contribution to the debates concerning the role of Archbishop Alojzije Stepinac of Zagreb during the difficult years of World War II. The CHR is thus happy to make it available to the scholarly world. By putting the picture of Archbishop Stepinac in prison on the cover of the Summer issue, the journal wishes to draw attention to this important figure in the history of the Catholic Church in the twentieth century. Just in time for Blessed Cardinal Stepinac’s feast day on September 7. It’s sad for humanity and truth that Professor Esther Gitman has met resistance from local Croatian officials and historians–children of some of the Communist Yugoslavia officials involved in putting Aloysius Stepinac on trial, on false charge of Nazi collaboration. There was no trial really – Communists concocted the charges, did the dirty trial and convicted the man who truly was a saint. The Yugoslav Communist regime’s show trial of Stepinac was a source of many of the slanders against Pius XII, including the claim that Pius XII hid money stolen from Croatian Jews in some secret Vatican vault–money that, allegedly, Stepinac had transferred to him at the end of the war. 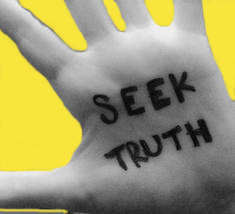 There is absolutely no credible evidence to support this claim–all evidence came from confessions coerced by the Yugoslav communists and from false witnesses; nevertheless, many slanderers of Pius XII continue to cite it as fact. And, of course, sadly many Croatian Jews were Communists and still are and they join their “colleagues” in hiding the fact that it was the Communists that kept for themselves Jewish property stolen from Jews in Croatia before, during and after WWII. Professor Esther Gitman is an amazing human being and the top of professional class in research and truth. Her article in the Catholic Historical Review will raise further the absolute credibility and scientific prestige of the journal. let’s post this on B92, Balkan Insight and InSerbia…lol, maybe we should send a copy to the grave digger and his protege…their heads would explode as all evil does when confronted with the truth. How do I get Esther Gitman’s book? Shall try that Sunman, again – Op Ed I mean go harder at such sites but comments easier for obvious reasons – not as prominent? True that the truth always prevails. By the grace of the Almighty. Astounding, but not surprising what the Communists did. I visited Zagreb in 1972, when Tito was there. What I noticed, above all, was that the people were sad and cold and unfriendly, and it is certainly understandable due to the circumstances under which they were living. Yes Patricia, and 1972 still had the added ugliness of the failed “Croatian Spring” in 1971 when Croatia wanted more freedom and autonomy within Yugoslavia and was crushed by Tito’s army and police, many jailed, movement and association limited, army tanks drove along streets looking for signs of “unrest” etc..
…when the NDH was in power, not ONE synagogue or Orthodox church was destroyed, but these “serbs” destroyed many catholic churches during the Homeland war and even had a “black flag” bombing of a synagogue in Zagreb in 1991, so as to blame the croats! …a footnote, since the British Empire was responsible for so much for contributing to the problems of the Middle East, Africa, and Eastern Europe, therefore, England should be receiving millions of these poor migrants, instead of France or Germany! As one Indian woman protested with a anti-discrimination sign in front of the British Embassy in New Delhi some time ago….. It is not true that during the NDH no synagogues were destroy! In fact most of them were destroyed: Zagreb, Osijek and Sarajevo just to mentioned a few. But it is important to state that Archbishop Stepinac was very angry about and declared that whosoever destroy a house of worship of any religion it is as if he destroyed the house of worship of all religions. He objected strongly the act knowing well what would befell those who fight against God and his creation. All I can say is I extend all my respect towards dr. Esther Gitman. In a time when even our leaders do not do enough to stand up for truth and justice, she has done so showing us there are still good people in this world, and that we should not become so easily apathetic and disillusioned in fighting for justice.